St Christopher’s is absolutely delighted that Carl Roche, who has been a volunteer at the hospice in Sydenham for 33 years, has been recognised for his outstanding contribution by winning Volunteer of the Year at the Hospice UK Awards 2016. The awards were announced at the Hospice UK Conference in Liverpool on Wednesday 16 November, and Carl was proud to receive his award trophy from Lord Howard of Lympne, Chair of Hospice UK. Carl, who lives in Kenley, has volunteered at St Christopher’s for over three decades and has never missed a volunteering shift. He started out by looking after patients and families, and during his time at the hospice has worked across many different teams, including the Care Home team and Fundraising. Carl was nominated for the Volunteer of the Year Award by Julie Kinley, Nurse Consultant for Care Homes at St Christopher’s. Julie comments, “A banker by background, Carl makes every minute count. He one of the most thorough and reliable volunteers I have ever met. “If he was at St Christopher’s at lunchtime, Carl would set off to help someone else in the hospice during his lunch break, and then return to volunteer again in our office right until the end of the day. Carl has also flown St Christopher’s flag on every occasion; he always wears his hospice-branded fleece and attends local hospice events at the weekends, selling tickets, taking part and lending a hand. 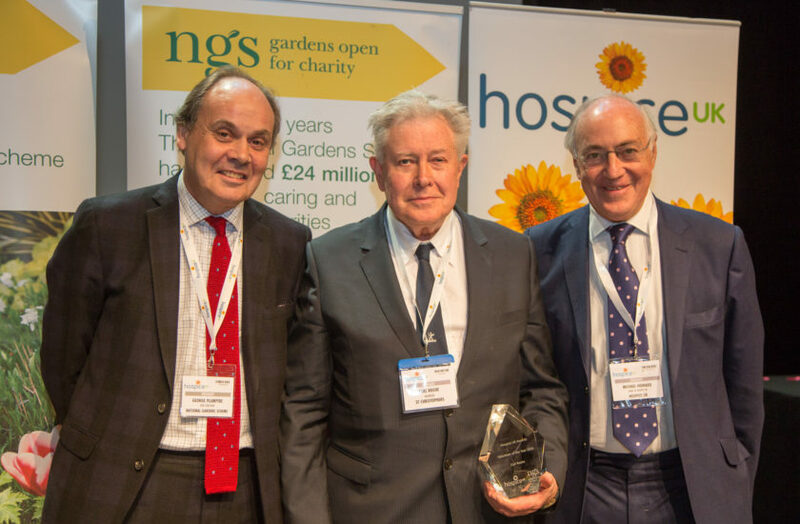 The Hospice UK Awards, supported by the National Gardens Scheme, is now in its sixth year and aims to recognise the significant contribution that both individuals and innovative programmes have made to hospice care in local communities across the UK.